Thinking about adding some light to areas of your home? We can help! Call us today for a free quote on skylight installation or repair! Skylights are a beautiful way to bring in natural light and rely less on electricity to light up your day. From round to rectangular, architectural to ventilating, skylights can serve more purpose than just being a window on your roof. And when it comes to the installation and repair of those portals to the outside world, you want to put your trust in a company backed by experience and quality workmanship, you want to put your trust in Fort Collins Roofing Service. Deciding to put in a skylight will not only give you plenty of Fort Collins sunshine to enjoy, but also add an attractive look to your roof, and raise your resale value. With the popularity of this roof addition growing, our company has already installed hundreds of these beautiful windows into various Fort Collins homes, and we enjoy seeing the satisfaction on customers faces the first time they see the sun streaming into their kitchen or office. When it comes to putting a hole in your roof for a reason, trust the company with experience, and allow us to bring that smile to your face. Depending on the type of skylight you're looking for, our company carries the top trusted name brands in the market. With the right product, installed by the right people, you can have a professionally and properly installed skylight that will last you for years. 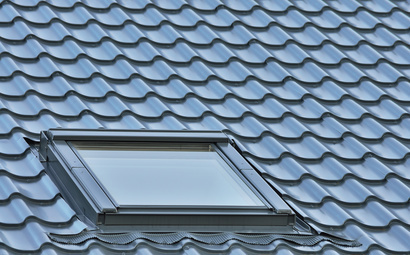 Our company is committed to bringing your Fort Collins home the best in installation, and ensuring that your skylight is in place with proper sealing and free of space and cracks. When choosing us as your skylight installation company, you're investing in the guarantee that the only thing your home will gain is beauty. Improper installation of a skylight can cause different kinds of issues, the main culprit being leaks. If the space is too wide, a layer of roofing paper isn`t going to cut it for long as the rains move in. Having a professional assess and flush out the root of your skylight issue will have you prepared to tackle the repair fully informed. Our crews are experienced and experts in finding the source of your issues and presenting you with a solution. When the decision to repair is made, you can trust that our company will deliver a full and complete repair that will leave you with nothing but sunshine. When it comes to Fort Collins Roofing Service, you can expect three things. Quality product, quality workmanship, and quality care. We formulate every service based on those three principles and it`s no different when it comes to your skylights. Whether installing, repairing, or simply giving an assessment, you can trust that you will get professional and honest feedback from our crews. We look to add beauty to every Fort Collins home we`re called to, and you can trust that we will do the same for you home. If you’re considering adding a skylight to your home, office or retail space, give us a call today! We’d love to discuss your goals and offer a free, no obligation estimate.